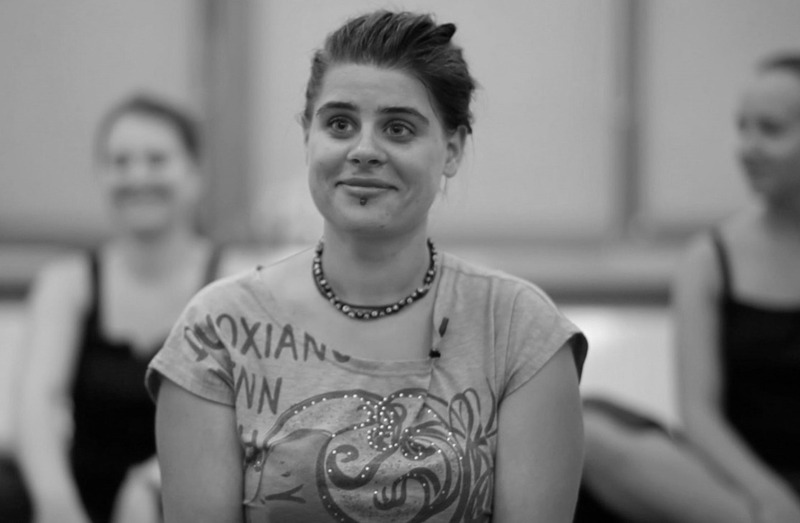 six day and one day workshops in Lithuania and Poland conducted in 2013. 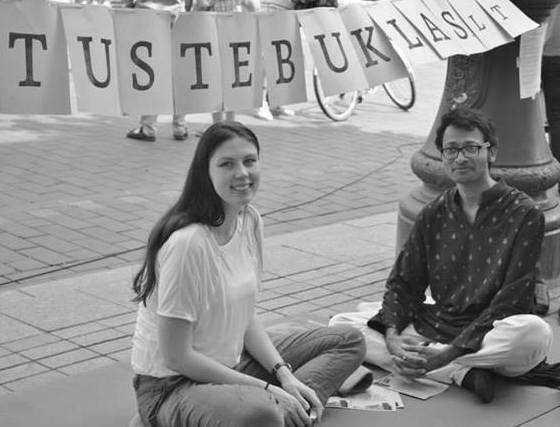 The workshop in Lithuania was called Tuestebuklas.lt meaning "You Are the Miracle"
I am very glad that there are some people like teacher Vidhi who share love, goodness , peace of mind – we have lack of these things in our people. Thank you so much for this wonderful event. Thank you for warm welcome and meeting with teacher Vidhi . These were unforgettable moments that we would like to keep in ourselves as long as possible After session I felt great, full of energy and goodness. Thanks again teacher Vidhi , thank you for this noble work. 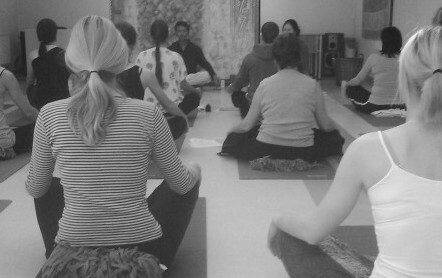 The evening meditation with Vidhi was unique - peace of mind and concentration - incredible energy . Just a wonderful feeling - a wonderful world. Follow up conversation with Vidhi the next day - ahh he is so simple and warm, easy in communicating and peace . It is so nice just to exist in his presence and listen to him Thank you ! Thank you! Thank you! Become a miracle. Bring this feeling and never let it go away ...I felt power flow after evening session.Really - nearly double,not only emotionally, but also physically. Just come and be yourself. I recommend it for everybody who always thinks : "it's not me”; “it’s not right time”, “I can’t do it today” ,”what’s the point?”. Everyone deserves this feeling. Feelings after the session are very great and I feel full of eneregy (especially full of internal energy)... Thanks for wonderful meeting with meditation teacher Vidhi.I liked the way how the teacher Vidhi was leading the session–he was very concentrated and relaxed at the same time like real profesional. I liked the atmospere, thanks a lot! I attended one of the meditation sessions of Vidhi and was completely mesmerized by how it made me feel later. What seemed tough in the beginning started to melt and dissolve and by the time we were finished , I felt so much lighter, so much at peace with myself and so much in the moment. I also subscribed to his healing and tantra massage and having traveled around I have had many experiences but must say this one was just something else. When I got up finally I had butteflies in my stomach and so much energy inside me. I seemed to be flushed with a wave of happiness. I am glad that I participated in elementary meditation session and met teacher Vidhi, I learned simple and daily stress-reduction yoga exercises.By the way,I tried it in real life.It helped me a lot :) The 3 hours session went so fast.In the end even I was surprised - it seemed to me that we have just begun.There was complete peace and joy inside when I realized how happy I am. I recommend everyone to try it at least once ! Meeting Vidhi has been one of my most incredible experience. His calm composed self gives way to something that touches me somewhere deep inside. Doing his workshops I discovered so much of my self . He is an incredible force in my inner change. While heading to India, one of my friends an ex student of Vidhi recommended Vidhi for a healing massage for one of my long ailing knee and back injury resulting from a tension. I was open to the idea of getting a massage and found Vidhi to be incredibly intuitive and someone with the ability to understand the connection of the mind, emotion and the body. I have never had a better massage before and since then I have found a lot of relief in my pains, and also found a new spiritual path. Vidhi’s meditation sessions along with his massage therapy has helped me heal faster and somehow become a more happier and in the moment person. Vidhi can understand you and heal you like no one else. His whole idea of going deeper inside oneself and seeing the reality without any attachment is incredible. I faced my deepest fears, challenges and soon the tension became pain, pain became tears and tears became happiness as I accepted myself and the beauty inside me so much more. It was a life changing moment. An incredible friend and guide, my journey with myself started when I met Vidhi for one of his massage workshops. From understanding the inner energies, connection of universal energy with the mind and body and how to heal oneself and remain equanamous and happy in all situations, create success and live in the moment – I am so much a better person. Vidhi’s passion to work with his students and customers and helping them unfold their inner strength is something rare. Special feelings happened to me during Vidhi’s meditation. 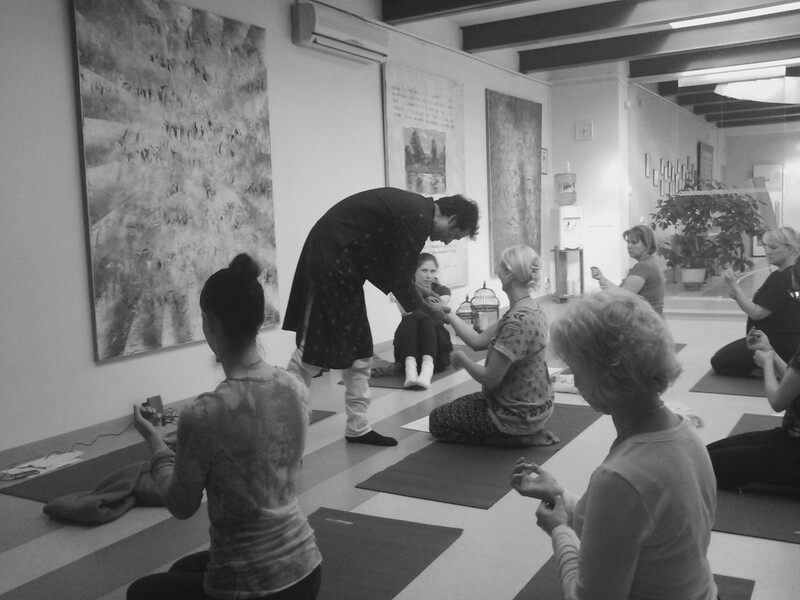 I want to thank you for the unforgettable moments of the evening session with a teacher Vidhi. I practiced yoga for the first time and I am excited, I would like to continue it later. Vidhi’s definitely has an incredible energy. A man of many talents, he comes across as a comfortable someone, so peaceful calm and beautiful and yet as you participate in his sessions or massage, you explore so much of yourself as you do of him. 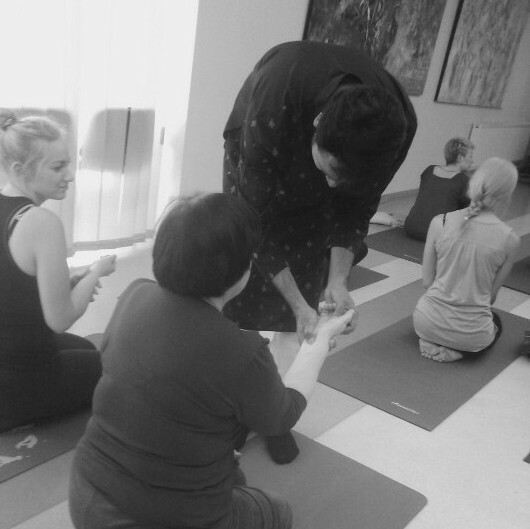 On topics of energy, meditation and understanding Tantra in massage forms his understanding and practice is so deep and wide. I had an incredible experience. 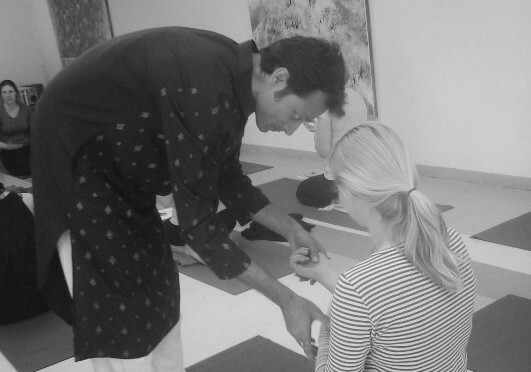 Hanging out with vidhi, or receiving a massage from him or attending one of his workshops is a great experience. He makes everything so simple and beautiful. He makes you feel so powerful. Vidhi is a helpful, friendly, down-to-earth, equanamous guy who is also a very good guide if you are interested in meditation or healing energies. Vidhi is one of a kind...sincere, intelligent, generous and unshakeably calm. With him taking the journey inside is so much empowering. It is a no nonsense appraoch to going deeper within and learnign the purest form of meditation. Vidhi – One of the best things in my life. I found my spiritual path through him and in the whole process I am completely changed. His energy and meditation technique is unique and inspires to deal with life and its random moments different, look deeper within. Heals and touches your life so softly and gently that nothing seems to be same ever after. I felt calm,easy, full of positive emotions and very energetic . You are making miracles !Thank you for this beautiful initiative and the opportunity to meet teacher Vidhi.I came to this session to find internal peace, to learn how to lose stress, negative thoughts and tension. All my expectations were met after this evening session. It feels like human – it feels like Light ... strange feeling ... and still remarkably strong. It catches like a flood wave ... You need to experience it. THANK YOU! He has magic fingers and an immense lot of energy.The best massage ever. I am definitely attending his next workshop. His energy is amazing. I have so far attended his workshops , healing sessions and meditation sessions. He makes it so easy and all his teachings really helps you heal in life,mind,heart and find peace and happiness in small small things. Before meeting Vidhi I never believed in the concept of healing, energy or any voodoo that people talk about. I first attended his healing session , in France and I was amazed how calm and happy I woke up after the session was over. Full of energy and a child like happiness.I am a more open person now – he guides,he touches and changes your life all the while making you see inside and making you the master of your life changes and never taking credit for it. Highly recommended !!! 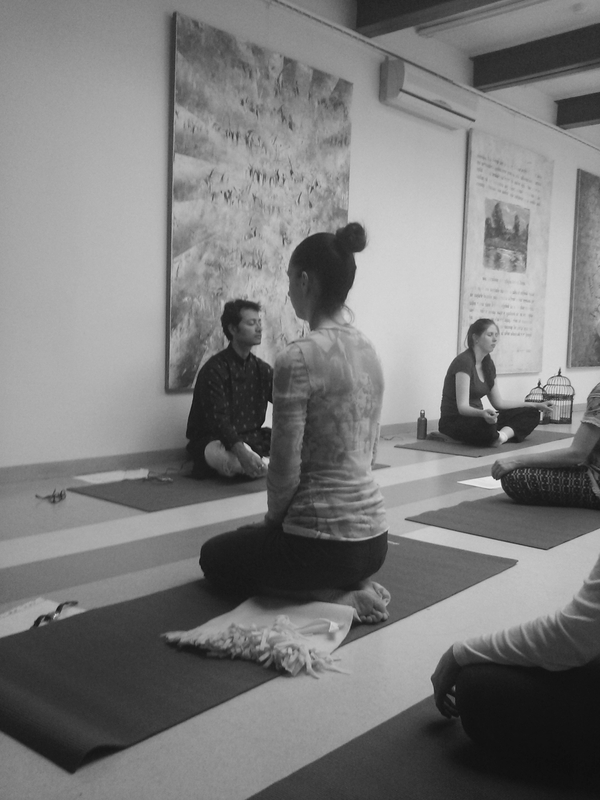 During evening session, I learned what yoga and breathing exercises to perform and the what points of body to press to reduce pain caused by stress and fatigue, how to perform meditation, how to activate your vital energy by yourself. 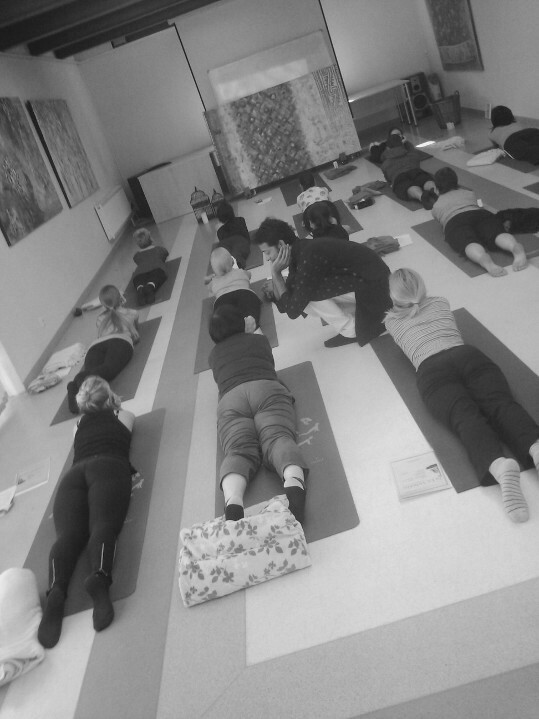 I enjoyed special yoga exercises a lot because we made just 3 simple exercises and I felt effect immediately – back and head pain gone, energy increased. 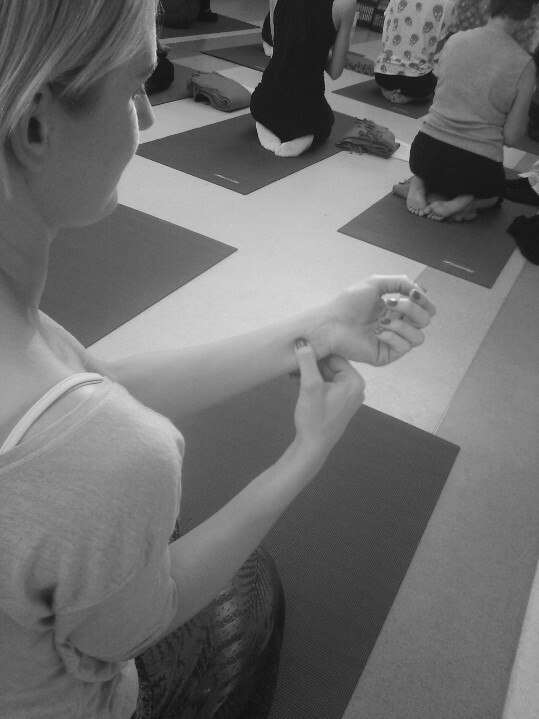 There was a lot of different feelings during meditation practice time : from pain, muscle tension to cold and heat waves. Collected stress was eliminated from the body in this way. It was my second practice of meditation with the teacher and it was much more colorful than the first one in a way that it surprised me. It was interesting to myself and another person therapy session- a great opportunity to train to visualize, feel and transfer solar energy to another person. 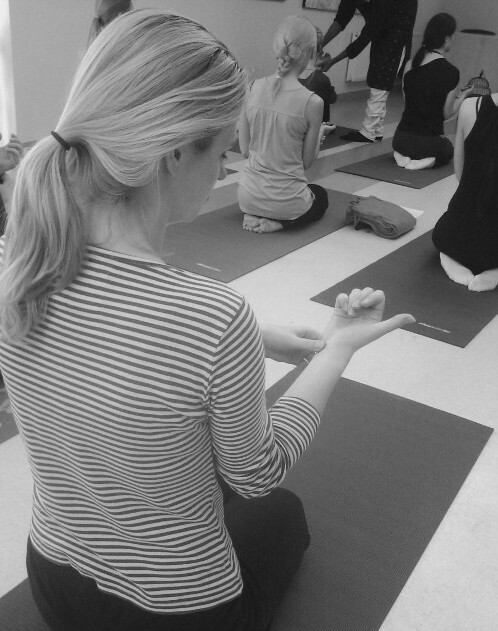 Moreover I was amazed about very strong energy from the teacher.It not only surprised me, but also encouraged me for additional sessions, because it proved that teacher's hand therapy really works. The evening session with the teacher Vidhi was that thing I was looking for. I am glad that I was there!After the session I felt full of plenitude, happiness , a sense of satisfaction and peace. I would like to continue to learn meditation with the teacher. He is just amazing. Learning Vippassna, getting Reiki from him or just a tantra session. It was all an incredible journey where he stands like a friend and helps you in the deepest moments of facing the inner Buddha awakening. This session with teacher Vidhi was the greatest evening! After the session, my energy level was actually high. My brain much relaxed! It gave a soft inner peace and made me forget the problems of the day. I communicated with teacher Vidhi couple of times. calm evening session and conversation after it allowed to feel an inner peace ... However, teacher Vidhi therapeutic massage was something magical!He gave a sense of positive change, I became happier more confident! I am very glad that I had the opportunity meet this great man. Beautiful experience. His mere presence can fill you up with calm and happiness that is difficult to put in words. Comes across as a very regular person, but as you learn from him or experience his healing sessions, massage or Reiki you almost discover the infinite in yourself and in him. I realize – through him that Universe exists in all different forms. Teacher Vidhi is a miracle who came into my life when I most needed it. His energy is extremely soft and high on vibrations, his inner light during the 6 days workshops helped to get back all my energy, to clear my mind of blockages , to release very deep hidden feelings and let them go away( for that matter I worked a lot for about 5 years ). 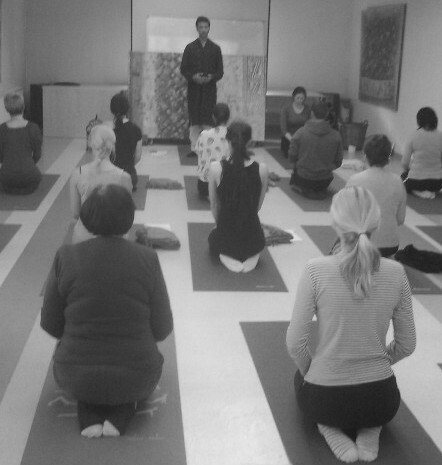 Thank you, master Vidhi, for the opportunity to be in your presence and meditate together. Teacher Vidhi sincerely helps people to become happy. I persuaded when I participated in the session. It is so great that there are some people like Vidhi. I am glad that I met such a man, because of him I started to change. Moreover I noticed that wherever I go, whatever I do - it goes successful and my wishes come true... Thanks ! If you feel difficulty in your heart, you feel depressed I recommend to meet this person unquestionably. I have just returned from a meeting with teacher Vidhi. We discussed about yesterday meditation.I liked everything a lot.I experienced easy internal cleaning feeling. This actually helps to calm minds and get into some kind of trance. The modern world is full of stress and rush , and yesterday's meditation was a return to the myself. When I was going to the session - I did not even know what to expect because I have never tried meditation , I did not understand what it is at all . I was afraid a little bit, to not understand what to do :) But perhaps some sort of softness and calmness in the air and his voice allowed me to relax easily. In the end of the session - some very strange and different emotions or energy came into me, something hard to describe and yet it was new for me. But the most important thing was that lightness, warmth and feeling of huge space that filled my heart after the session. Thanks for teacher from India. He is real citizen of the world , who share his knowledge and experience. I enjoyed the evening session in Kaunas a lot. I relaxed, rested here , I felt great flow of energy. I would like to meet him again. I am a first time student of meditation but I’m thinking more and more every day that it is very important for each person. Everybody is running, hurrying,we have million things to do and we spend less and less time for ourselves. I am very happy that you initiated this kind of workshop which familiarizes people with the most basic principles of how to relax.It is very important and necessary. Thank you teacher Vidhi, for sincerity, inner peace , simplicity and immediacy. It warms people and make them friendlier. I really liked the "healing" ritual when we divided into the pairs and we shared our energy and good thoughts with another person who we didn’t know at all. When I was talking with the teacher it seemed to me that he supports touching i.e. He is trying to make that one person would feel another person touch while they are greeting and during the massage (I haven’t practiced yoga and meditation , that’s why I do not know what really should be that Reiki massage). As I understood he has the knowledge about the natural treatments also. I felt great after the session , I felt that the body is more relaxed next day, it is easier to get back (personally for me, relaxation and benefit for posture, spine is the most important ). I liked that part of session in which we meditated while we were lying (we tried to focus on the sensations in different parts of the body ) because during this part I almost " disconnected " (maybe I needed a pillow under my head ... :)) I think during the session , the teacher reminded not to deviate from the concentration in the breathing or feeling in right intervals. I mean, when I felt that thoughts were going somewhere else then teacher reminded to concentrate on breathing. I didn’t realize before that 5 minutes is not enough for meditation , now I know.